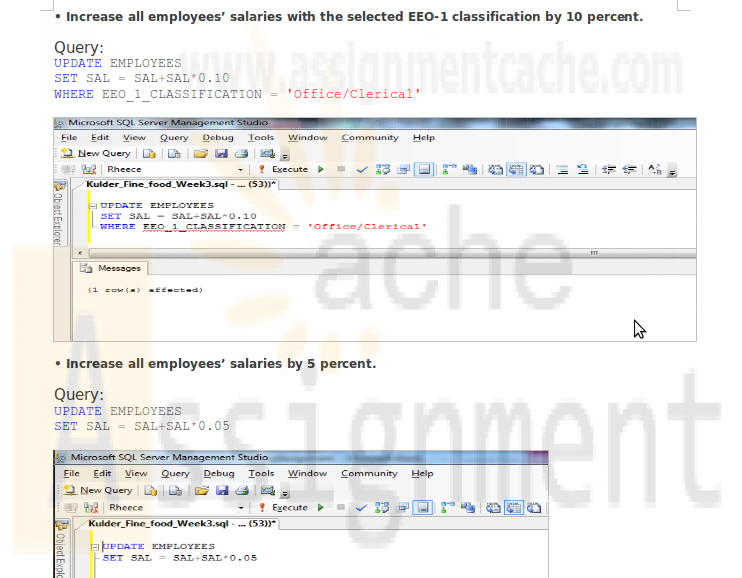 o Increase all employees salaries with the selected EEO-1 classification by 10%. o Increase all employees salaries by 5%. o Choose an employee from the Employee table and delete that employee. 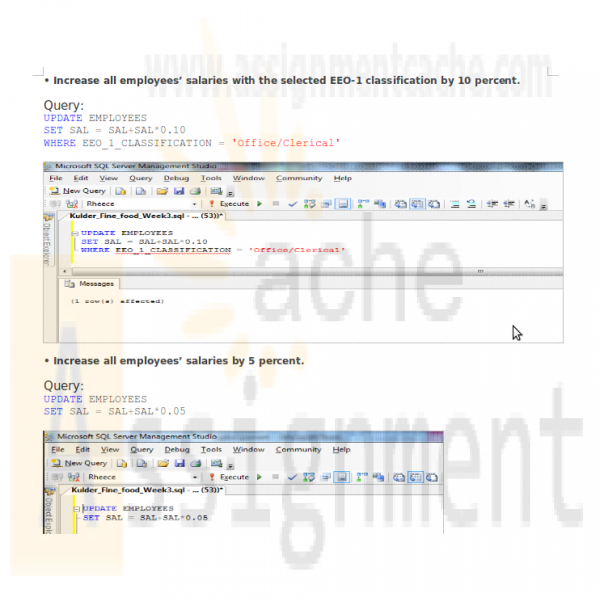 Deliverable: Copy the SQL statements and data from both tables showing how data was affected to a Word document. Post the document to the assignment tab of the classroom. o Calculate the average salary for all employees. o Calculate the maximum salary for all employees. o Calculate the maximum salary for exempt employees. o Calculate the minimum salary for all employees. o Calculate the minimum salary for non-exempt employees. Deliverable: Copy the SQL statements and results to a Word document. Post the document to the assignment tab of the classroom. o Count the number of employees, grouped by EEO classification. o Count the number of employees, grouped by exemption status. o Compute the average salary, grouped by area code and gender. o Compute average age, grouped by exemption status o Compute the earliest hire date, grouped area code, gender, and exemption status. Deliverable: Copy the SQL statements and results to a Word document. Post the document to the assignment tab of the classroom.